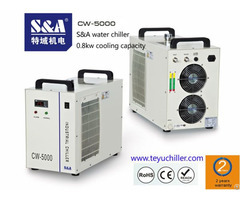 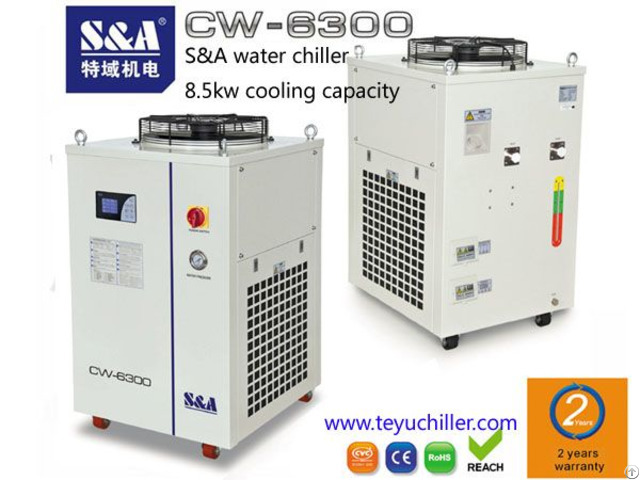 S&A water chiller for led lighting machine 220V/380V 60Hz/50Hz S&A CW-6300 series is high-precision compression refrigeration water chiller, with intelligent temperature control, completed configuration, perfect protection and alarm system.It is for cooling led lighting machine. 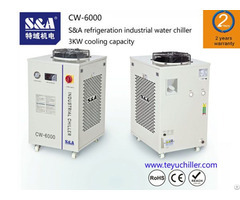 7.Optional heater and water filter. 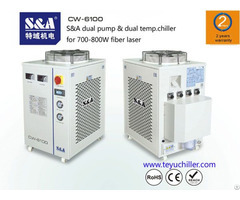 CW-6300AN: applied to cool a single 300W YAG laser, a single 300W CO2 RF laser tube or a single 300W laser diode.